Cold and Flu Season is upon us will you succumb? With symptoms ranging from Body aches, and fever, chills, sore throat, coughing, extreme fatigue, even diarrhea, nausea and vomiting, Flu season can start as early as October and run straight through May, with the brunt of Flu season being typically February and March. Practically every corner drug store grocery and discount store are advertising flu shots right now. What used to require an appointment with your Doctor, can now be had where you buy your cat food and cleaning products. When is the best time to get a flu shot? Since it takes time for antibodies to multiply and circulate through the body – typically 1-2 weeks—it is best to not wait until flu season is in full swing. However, since the antibodies don’t last forever either, getting it too early may leave you unprotected just when you get sneezed on in the checkout line. This makes the month of November the best time to be vaccinated. Whatever date you pick to get the flu shot, exercising either before or after you get jabbed may help your body produce and circulate more antibodies… In studies where subjects did resistance training exercises before a flu shot or a cardio workout afterward, more antibodies were produced. And a 10-month study done by the Geriatric Society found that “regular endurance exercise improves Influenza vaccine response.” And regular workouts can have far-reaching effects on your immunity over the long term as antibodies also didn’t decline as rapidly in exercising adults. This means if you get your flu shot in early October you may find yourself better protected come late March or April. If you find yourself developing these symptoms it is time to put on the brakes and rest. Call in sick to work, cancel any social engagements and curl up with a few good books or binge watch your favorite TV series. Allow yourself to nap frequently as your body needs its rest to fight off the infection. Stay away from others as much as you can to avoid spreading it. 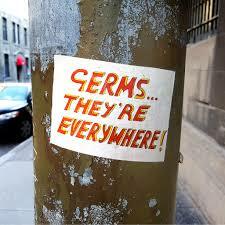 Ever wonder how some people seldom ever get sick and others seem to be a walking germ magnet? Your ability to fight off infections is very closely tied to your overall health. But simply being free of disease is not enough to keep you safe. When coming into contact with germs, and let’s face it, somewhere, sometime you will get sneezed or coughed on by someone who is sick, the strength of your immune system is the key to whether you will walk away unscathed or you will find yourself on the losing end of the above-listed symptoms. So what can you do to lessen your susceptibility? Did you know that we have millions of good bacteria living in our bodies that are crucial to good health? They are a key player in our ability to fight off infection. Ideally, you will have an optimal supply of these good bacteria that can pinpoint when disease-causing invaders sneak in and immediately go on the attack to neutralize them before they can make you sick. However, if your supply of good bacteria dips too low, bad microbes such as disease-causing bacteria, fungi and yeast can take hold. What may cause an insufficient supply of these good bacteria? No doubt you have taken an antibiotic at some point. Unfortunately, if you have recently taken an antibiotic, often prescribed for things like strep throat, a UTI or even scheduled dental work, the antibiotic will not discriminate, it will kill off both the bad AND the good bacteria. When what you want is for these good bacteria- or microbes to be alive and well and thriving in your digestive tract. When the bad bacteria outnumber the good due to poor health – or recent antibiotic use, you’re in trouble! Make probiotics a regular part of your diet. Probiotics are good microbes or bacteria that you can get from food such as yogurt, kefir, kimchi, sauerkraut, and apple cider vinegar, among others. When you consume probiotics they take up residence in your gut and begin wiping out the bad bacteria that are living there. Then they continue working to protect you from disease and illnesses. Orange flesh produce such as carrots, sweet potatoes, pumpkin, cantaloupe and peaches which provide Vitamin A and Beta Carotene. Citrus fruits like oranges, grapefruit and lemon, strawberries and kiwi, as well as vegetables including green pepper, broccoli, spinach, cabbage potatoes, and tomatoes which are all loaded with Vitamin C.
Mushrooms are rich in selenium ( for white blood cells)and beta-glucan ( an antimicrobial). Fresh Garlic has Allicin ( an antimicrobial compound). Zinc is another mineral that aids in immunity. And while you can pop a zinc lozenge as a supplement why not enjoy a tasty snack while you protect yourself from invaders? Pumpkin seeds are a great source of zinc as well as providing phosphorus, manganese, magnesium, iron copper, protein, and vitamin K.
Drink lots of water throughout the day this helps to flush toxins from your body and keep your mucous membranes moist. Mucus membranes act to protect the inside surfaces of the body in much the same way our skin protect the outside. These layers of tissue are moist and ‘sticky’ to trap invaders like bacteria, or viruses and remove them. When Mucus Membranes dry out, one more part of our immune system becomes compromised and leaves us more prone to infection. Wash your hands frequently. Infection-causing bacteria can live on a hard surface, from as little as a few hours to days and sometimes in the case of Norovirus or C difficile, weeks or months. And the flu virus can remain suspended in the air as droplet for several hours. Places such as countertops, shopping carts, door knobs, and the pen the cashier hands you to sign your receipt can all be ripe with bacteria and ready to spread the misery to the next person who unwittingly touches them. 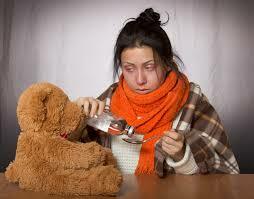 Anywhere a sick person touched is subject to carrying infection-causing bacteria. Keep your hands away from your eyes, nose and mouth. They are the gateway to your body. Get moving. Exercising regularly speeds the transport of oxygen and blood throughout the body. This helps circulate white blood cells more quickly throughout the body allowing them to potentially detect infection-causing bacteria sooner and begin fighting them earlier. Get plenty of sleep. Experts tell us our bodies need 7-8 hours of sleep in order to stimulate the immune system to respond to potential threats. Sleep deprivation suppresses our immune system and also impacts how quickly you recover if you do get sick. Take steps to relieve stress, Cortisol, our main stress hormone, lowers the number of lymphocytes which are a type of white blood cell that fights infection and leaving us more vulnerable to infection. See The Truth about Stress. Some ways to combat stress. Exercise is a great stress reliever and it also releases endorphins, our feel-good chemical which can improve your mood. Tickle your funny bone: Having a good laugh relaxes muscles, decreases the stress hormones and increases our resistance to disease by increasing our immune cells. Meet with friends, spending times with friends can boost your mood and help you cope with difficult times. Try meditation taking 10-15 min to sit quietly and focus on your breathing can help release stress. Tidy up; Studies show just the mere sight of clutter can make us feel edgy, so kill 2 birds with one stone and use excess energy ( stress )for the good and spend 10-15 minutes tidying the space around you. 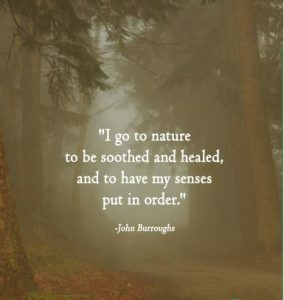 Get outside: Being exposed to nature reduces blood pressure, heart rate, and eases muscle tension. This restorative effect lowers the production of stress hormones. Since the flu is nothing to sneeze at, take steps now to protect yourself and increase your chance of sailing through the coming flu season untouched.